A Western Meadowlark perches on a somewhat overcast day adding a bit of color to an early spring day. Love this bird! We have the eastern counterpart to this bird here… They are beautiful birds! Hi and we have not seen the Eastern Meadowlark but I think they are very similar and my untrained eye probably could not tell them apart. It is wonderful having them around. Wow, what a picture this bird makes! He is quite a fine looking guy indeed. Thanks Val, hope your week is going well. That’s a gorgeous shot! I love their liquid-song serenade as I run on the trails. 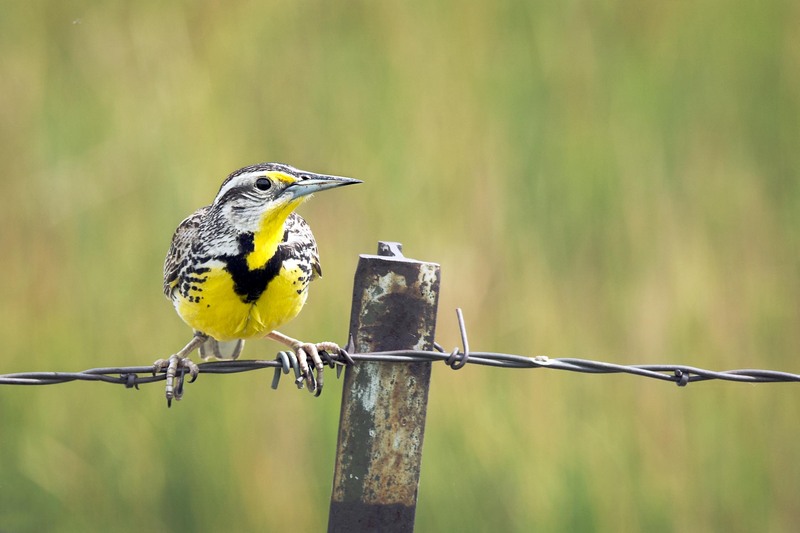 I wanna be a Western Meadowlark in my next life! Hi Tracy, those sound like nice trails to run along if a Meadowlark is along for the run. Those colors do suit him well.